Your anti-lock brake system, or ABS, consists of a hydraulic control unit (HCU), an anti-lock brake control module and both front and rear anti-lock brake sensors. When you apply the brakes, you essentially force brake fluid from master cylinder outlet ports to HCU inlet ports. From the HCU, pressure is transmitted through four solenoid valves to each wheel and your vehicle comes to a stop. During an emergency stop, the ABS modulates brake pressure in order to prevent wheel lock-up. If you would like to learn more about ABS, we invite you to drop by Meineke #2616 in Wichita, KS. Our friendly specialists know all about anti-lock brakes and how to care for them. ABS brakes were designed to prevent lock-ups and skids but also offer a few other benefits. Some insurance companies offer discounts for having this safety device because it has a track record of effectively preventing accidents. ABS is standard on today’s vehicles. Without this system on your vehicle, you may not get the premium resale value. Although the ABS system cost does add to the overall cost of your car, it’s worth the added safety and value. 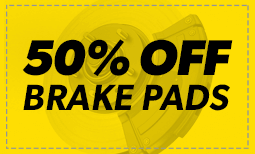 Talk to the technicians at Meineke #2616 in Wichita, KS for more information about ABS brakes. Vehicles equipped with an ABS brake system generally have a dashboard light associated with the system. Some older vehicles may use the check engine light. However, your car will start to show physical signs during ABS brake failure. It may require more effort to press down on the brake pedal or the pedal may actually be unresponsive. If your ABS brakes need service, you will still have control and use of your regular braking system. This is not a reason to ignore ABS brake service. Bring your vehicle to the trusted technicians at Meineke #2616 in Wichita, KS for repairs and maintenance. Even if your anti-lock brakes fail, your car is probably still drivable. The ABS brakes will switch off if the components fail, but the regular brakes on your car still work. This can still be a problem if you get into a panic situation where you expect your brakes to pump themselves to get you out of a skid. Don’t put off repairs to the anti-lock brakes, even if you’re not expecting icy or snowy weather. The ABS system also keeps your auto from hydroplaning in wet driving conditions. Maintain your brakes with silicone brake fluid or mineral brake fluid by coming to the professionals at Meineke #2616 in Wichita, KS. Although some repairs to the ABS system can be costly, it’s much safer to replace a faulty ABS module as soon as possible. 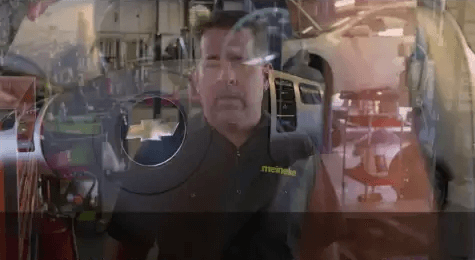 When you hear random clicking noises or feel the brakes trying to pump themselves, you need to come to Meineke #2616 in Wichita, KS for professional repairs. When you become accustomed to relying on your anti-lock brakes, you don’t want to be caught without them, especially when the weather gets bad. Let Meineke help keep you safe on the road. Although you can certainly learn how to recognize signs that your ABS brakes need repairs, any repairs should be provided by certified technicians who can ensure your brakes are in good operating condition. Before you come into our store, take a look at our coupons and pick up some savings. If you are ever in need of brake repairs, come to the professionals at Meineke #2616 in Wichita, KS. Keep your passengers safe in every type of driving condition by maintaining your brakes.